CAE today announced that CAE USA has taken delivery of its first three Grob G120TP aircraft that will be used as part of the United States Army Fixed-Wing Flight Training program and begun training its initial cadre of instructor pilots to prepare for the start of training in 2017. CAE also announced it is making good progress on construction of the new Dothan Training Center located at Dothan Regional Airport in Alabama. The state-of-the-art facility will provide training to more than 450 U.S. Army fixed-wing aviators annually, as well as providing training to U.S. Air Force C-12 aircrews. "This turnkey training program will include live, virtual and constructive training that will provide the Army with a modern, flexible and cost-effective training solution specifically designed for the Army's fixed-wing community," said Ray Duquette, President and General Manager, CAE USA. "Army Fixed-Wing Flight Training is exactly the kind of training systems integration program that CAE is focused on providing its military customers in the United States and around the world." Under terms of the original contract, which was awarded as a base contract plus six one-year options through March 2024, CAE USA is constructing the new company-owned and operated training center in Dothan, which is near Fort Rucker, Alabama and the U.S. Army's Aviation Center of Excellence (USAACE) at Fort Rucker. CAE's Dothan Training Center to support Army Fixed-Wing Flight Training will be operational in early 2017 and ready for the start of training operations in spring of calendar year 2017. The Army Fixed-Wing Flight Training program is responsible for providing all the training required for experienced Army rotary-wing aviators transitioning to fly the Army's fleet of more than 350 fixed-wing aircraft. The Army and CAE are also implementing a new initial-entry fixed-wing (IEFW) training program so that entry-level Army students can begin their career track to fixed-wing aircraft much sooner. In addition, the Army Fixed-Wing Flight Training program serves as the formal training unit for Army C-12/RC-12 King Air recurrent training, as well as providing annual training to U.S. Air Force C-12 King Air pilots. The comprehensive Army Fixed-Wing Flight Training program will feature live-flying training provided by CAE. 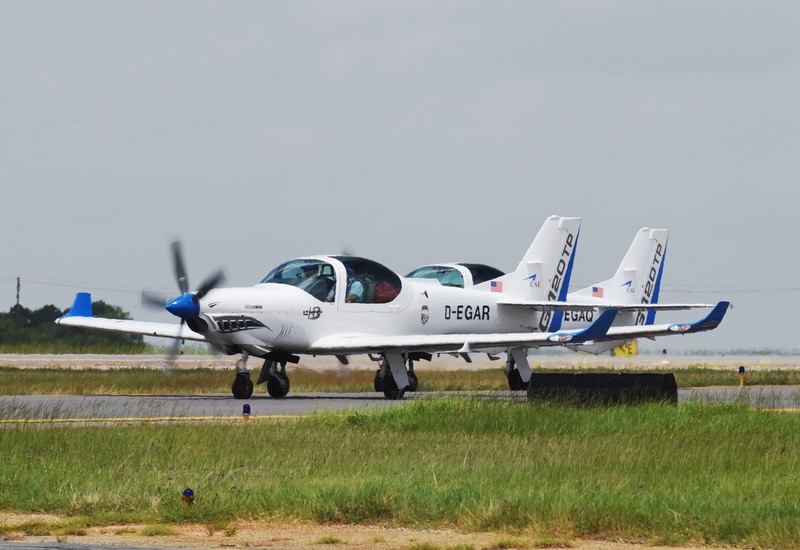 The transition of Army rotary-wing aviators and training of Army initial-entry fixed-wing students will use six new Grob G120TP aircraft, three of which CAE has taken delivery of in the past month. In addition, CAE will design and manufacture two Grob G120TP integrated procedures trainers and a suite of desktop trainers and courseware to support the training program. A fleet of 10 C-12U King Air aircraft owned and maintained by the U.S. Army will also be operated by CAE instructors to deliver live flying C-12 King Air training. Construction is currently underway on CAE's new Dothan Training Center at Dothan Regional Airport featuring state-of-the-art classrooms; training system integrated learning environment and other modern facilities. CAE is leveraging existing designs and is currently manufacturing a suite of training devices, including two CAE 7000XR Series C-12 King Air full-flight simulators (FFSs) and two reconfigurable CAE Simfinity C-12 King Air integrated procedures trainers (IPTs). In addition, CAE will be developing two other CAE 7000XR Series FFSs, referred to as motherships, featuring CAE's revolutionary roll-on/roll-off (RORO) cockpit design, which will enable cockpits representing various aircraft types to be used in the full-flight simulator. CAE will develop four RORO cockpits representing various configurations of the C-12 King Air aircraft used by the Army and U.S. Air Force. When two of the cockpits are installed on the full-flight simulator mothership, the other two can be connected to a docking station and be used as Level 6-equivalent flight training devices.